After Pet Sounds, California got weird for The Beach Boys. Brian Wilson took too much acid and became a recluse; Dennis Wilson got mixed up with Charlie Manson; and Mike Love went to India with The Beatles and Donovan to study transcendental mediation. As a follow up to Pet Sounds Brian Wilson wrote SMiLE, an album which he supposedly dubbed as "a teenage symphony to God", whatever that means. The project imploded, and was ultimately shelved, even though Capitol Records had already planned on creating a gate-fold record cover for it including a 12 page booklet (the finished cover art is below). For once (supposedly) an apparently brilliant album was not released by a major label for some fault other then their executives...it wasn't a Yankee Hotel Foxtrot situation...it was worse. 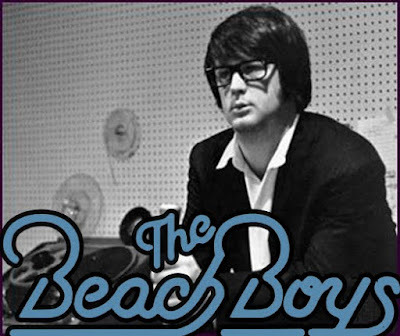 Some claim that it was Brian Wilson's escalating drug use and mental deterioration that caused the ultimate collapse of this highly anticipated masterpiece, and rumors swirled that he had been caught trying to burn the master tapes of the album, however, it has been stated by many studio musicians involved in the recoding that Wilson conducted himself in an extremely professional manner while recording. Why would anyone lie about that when it might cost them future jobs? The most common speculation for the lack of an offical release of the SMiLE project is that it was shelved due to frictions within the band, specifically between Mike Love and Brian Wilson. SMiLE is far removed from the "Beach Boys" sound (and Brian was one of the youngest Beach Boys members) so it ended up getting shut down by the rest of the group. Its a shame, really...this is one of the strangest, strongest and most creative albums that came out the Beach Boys camp, up until that time, the boys usually stuck to singing about (as Dan Meth points out) girls, cars , and surf); however this album was much more psychedelic and varied in its subject matter. SMiLE would have given the recently released Sgt. Peppers album a run for it's money back in the summer of 1967...had it been released, so its a shame that it was never given the chance. So be it though, instead, this has become the holy grail of bootlegs, and is widely regarded to be the most important album to have never been released by a rock band in the 20th century. Besides the fact that it's the direct follow up to Pet Sounds, the album was supposed to house the song "Good Vibrations" one of the best charting Beach Boys songs (no.1 in Britain and America). 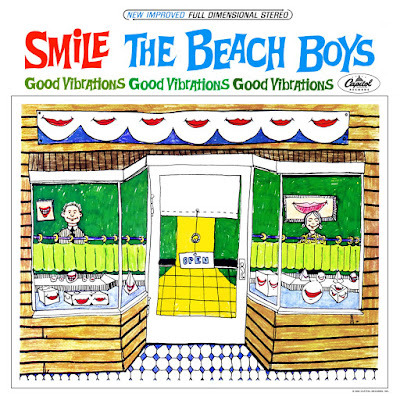 Many songs intended for the SMiLE album (including "Good Vibrations", "Heroes and Villains" and "Surf's Up") were later re-recorded and released on subsequent Beach Boys album such as Smiley Smile, Wild Honey, and Surf's Up, many of them did not come out the same way (like all of them), and one of those such gems is the SMiLE version of "Wind Chimes" which lost some of the pleasant haziness of its original incarnation. Too be honest, and I dont think I'm alone here...it seems as if Brian Wilson never wrote another song again after SMiLE.